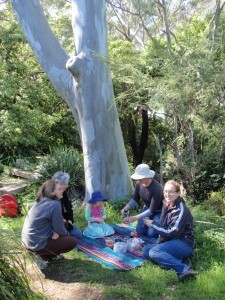 The Wolli Creek Preservation Society runs many enjoyable activities you can take part in. There is a range of ways that you can contribute to helping take care of our Valley. We are very active in regenerating the bush in the Valley. 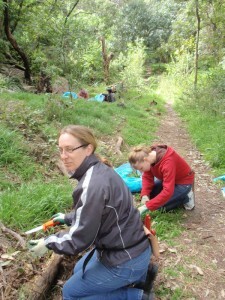 Helping with bushcare is a very enjoyable and satisfying way to spend a few hours a month in lovely bushland. Come and try it out. 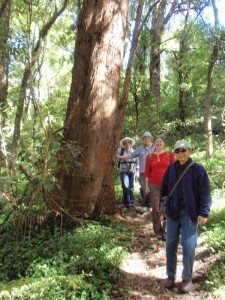 The Society often organises informative Wolli Walks. Come along on one of these and learn about the area. We have many resources to help schools and children learn more about the natural environment in the Wolli Creek Valley. Our kayak trips up Wolli Creek are very popular and shouldn’t be missed. Come to one of our interesting talks given by experts in their field. Join our small groups of observers taking monthly bird surveys in the valley. Come join us at dusk once a month to count the bats in our resident colony as they fly out to feed for the night. Join a small team of volunteers to keep an eye on the quality of the water in Wolli Creek with Streamwatch. Learn how to help the local plants and animals by creating your own backyard bushland.